Merry Christmas Eve! 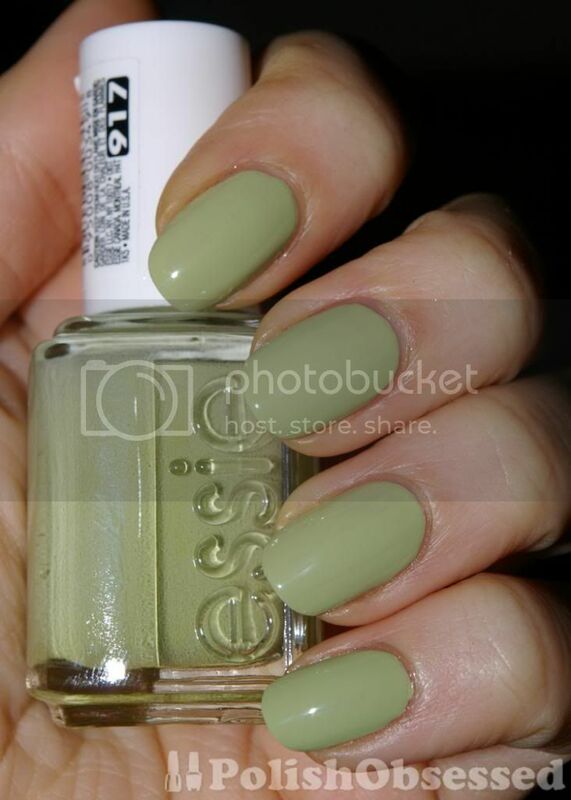 Today I have an untried from Essie I purchased in late summer this year, Navigate Her. This polish is a light olive green creme which leans more yellow than blue. Application was okay, it had been sitting for a while so I needed to give it a good shake to ensure it was mixed together properly. The first coat was a bit streaky, but the second evened everything out just fine. I added some thinner to the bottle before applying the second coat since I wanted to apply a thinner coat. My photos show no topcoat, they were taken right after application. It is such a pretty and unusual neutral colour. I love these kinds of cremes, I think they are very vintage chic. This shade reminds me of vintage kitchen appliances and cookware from the 60's or 70's. It was the pallet cleanser I needed from all of the glitters I I've been wearing this month!! One more day until Christmas, although Christmas technically starts for me tonight :) I love Christmas and glad it is finally here, however I don't want to see another year go by to quickly! This is a shade I can wear - some of the pastel chalky lighter greens I look horrible in - talk about red turning skin on my hands...yikes...I will be wearing this one and shades similar not only for that needed neutral break after holiday but also with all these Jordan Almond chalky pastels I am seeing from Zoya and now Butter London as their spring shades for Jan 2013...ick! I cannot wear those at all. Have a great Christmas - mine starts at midnight tonight for mass!